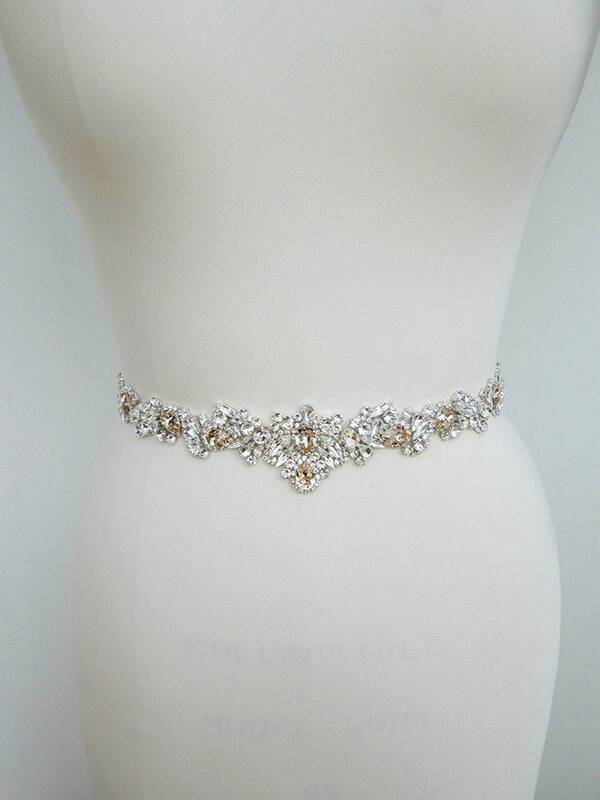 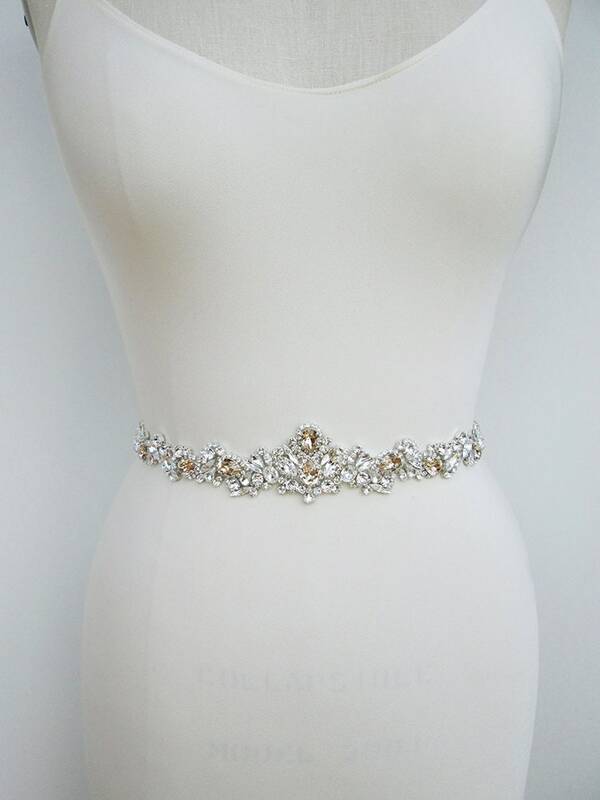 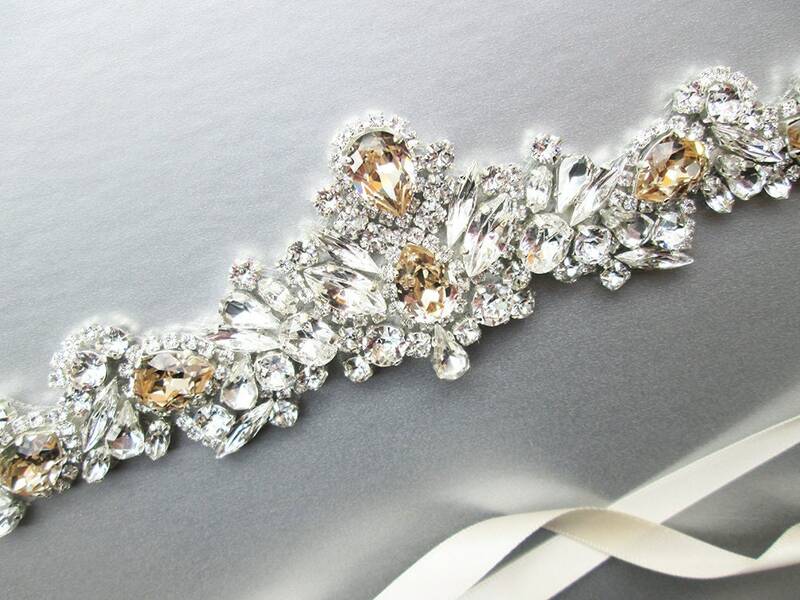 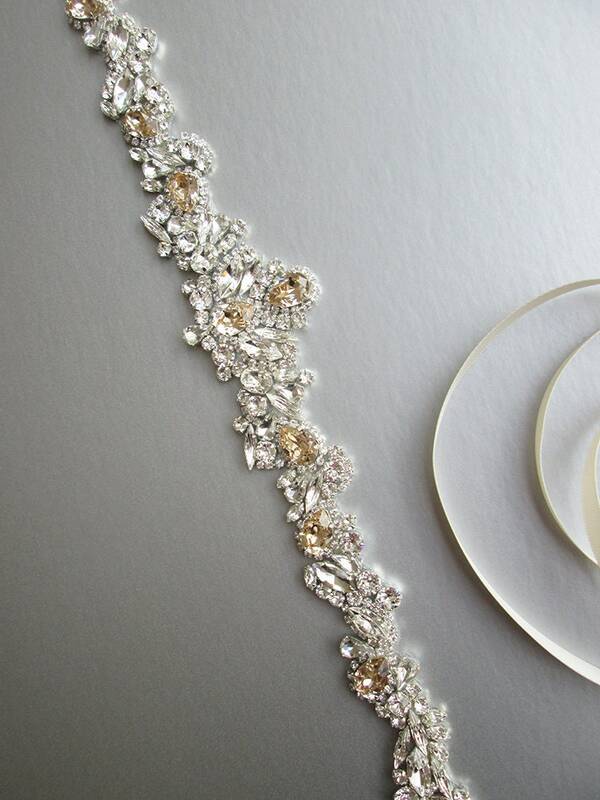 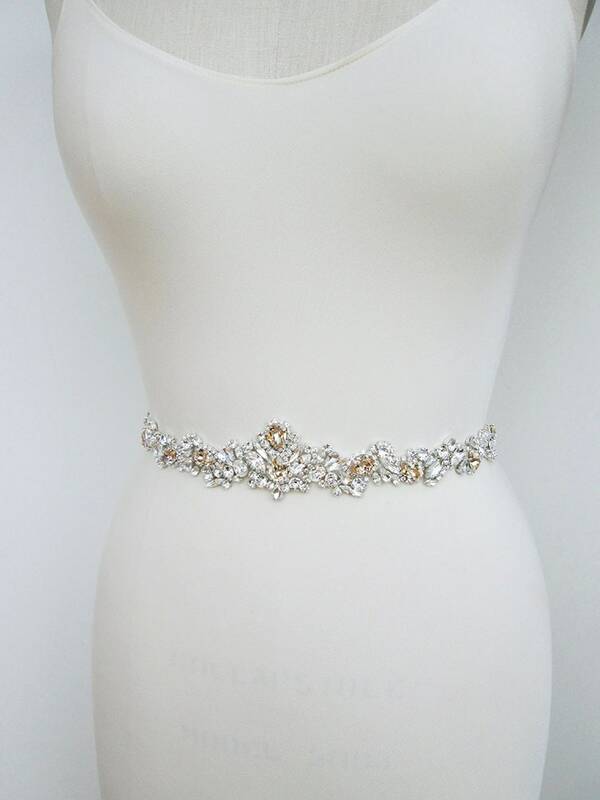 This unique vintage inspired belt features an intricate and flattering Swarovski crystal design in clear and champagne crystal mix. 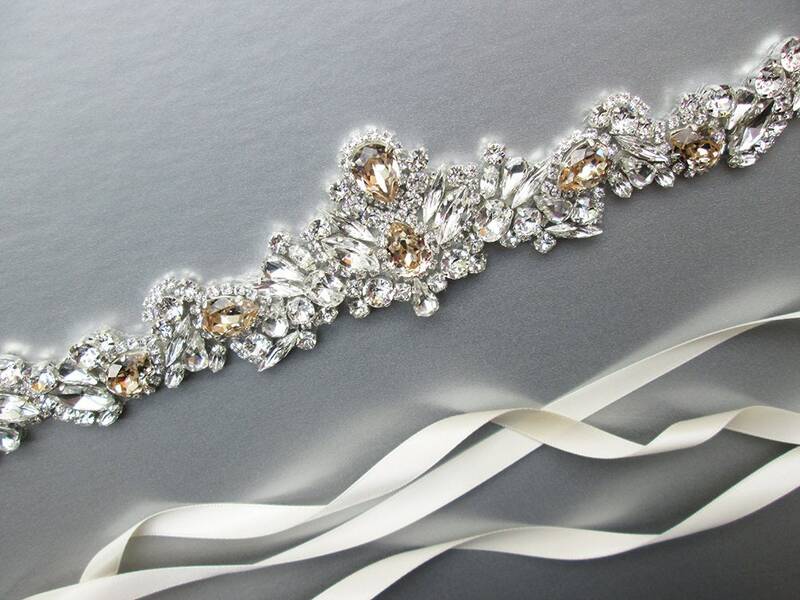 The crystal design measures 14 1/2" long and 1 3/4" wide in the center. 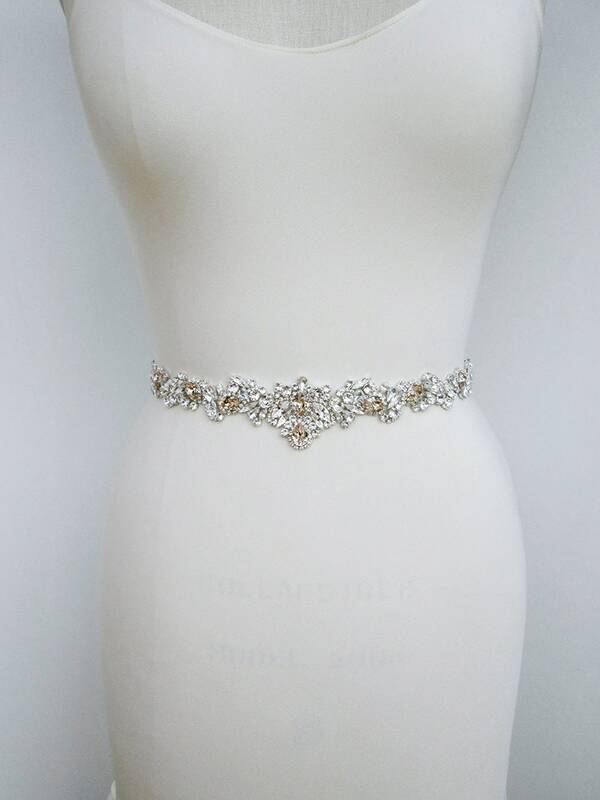 The satin ribbon measures 3/8" wide and 150" long. 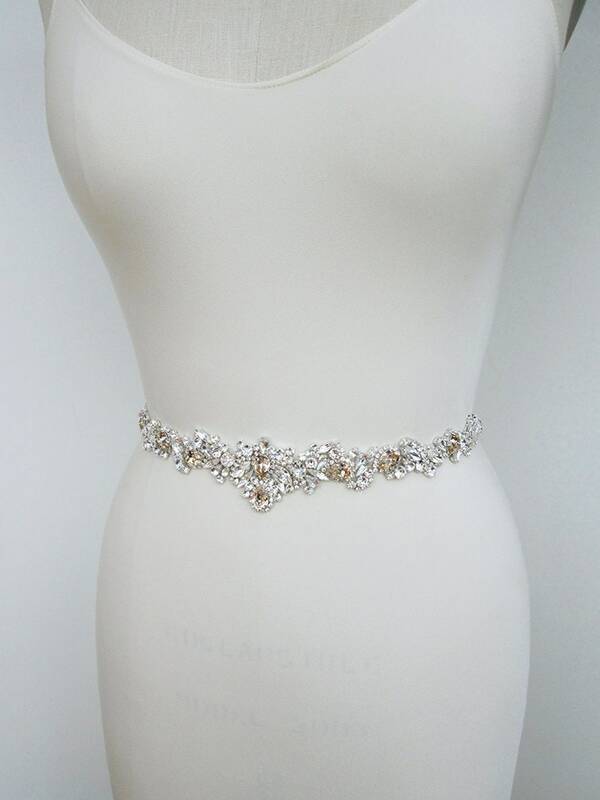 Available is gold or silver finish and with a variety of ribbon options. 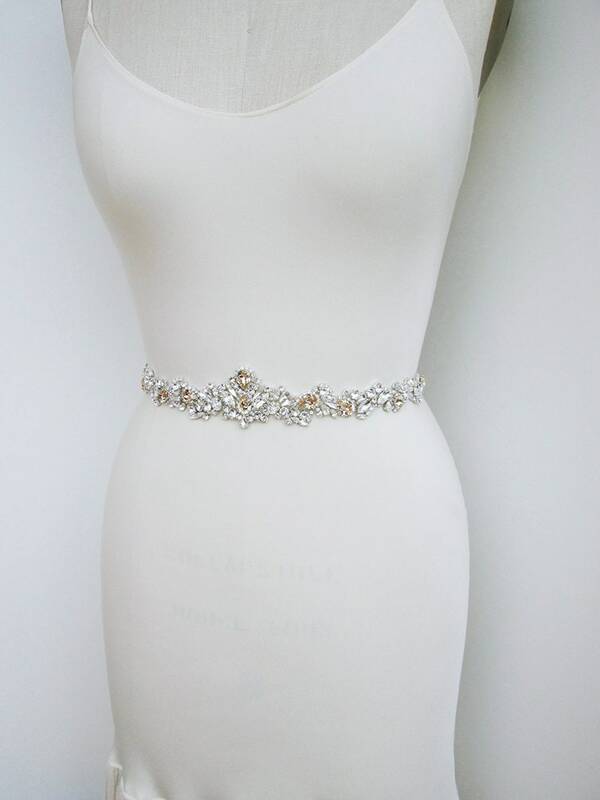 This belt can be worn two different ways, pointing up or down. 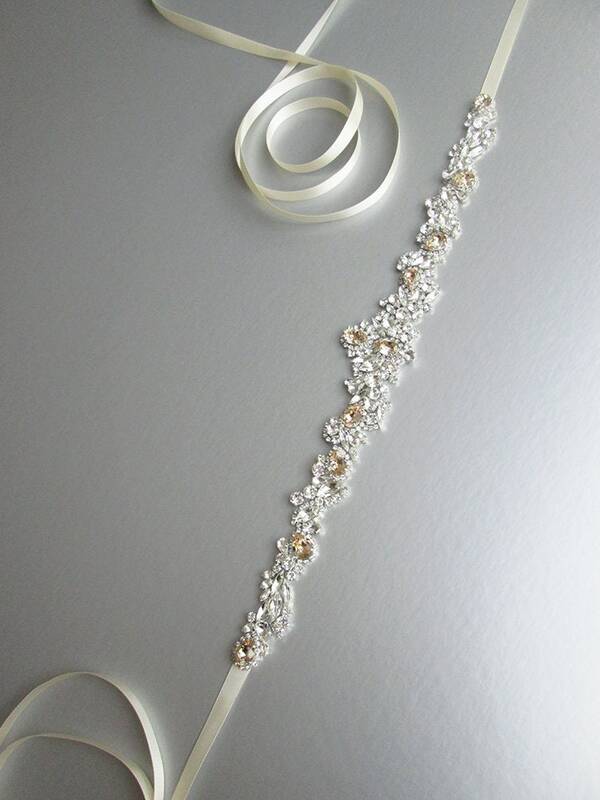 Shown in the photos with dark ivory satin ribbon and in silver finish.